Smaller is sometimes better – Of all the exhibit halls, Eureka Park at the Sands, where start-ups from all over the world set-up, was by far the most interesting to me. The passion and genius these exhibitors demonstrated was infectious and their ideas, for the most part, were game changers. While Honda and Samsung get all the attention, these under the radar entrepreneurs are going to improve our lives in about every conceivable way in the coming years. 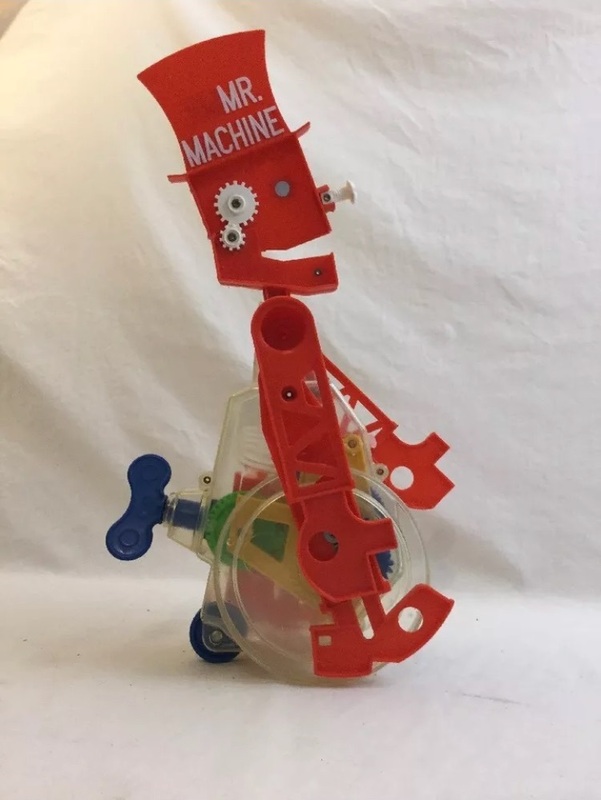 Mr. Machine was better – When I was 5, three days before Christmas, I found one of Santa’s gifts, Mr. Machine, behind the furnace in our basement. As I recall, it stood about 24” and walked with lights flashing when wound on. Some 50 years later, the robots at CES were not much better in my opinion. Some applications, like child education and elder care companions show promise, but I am not sure the breakthrough will happen in my life time. Technology outpaces our agility to embrace change – From what I learned last week, the only barrier to self-driving cars sooner than later is our ability to adapt. While I suspect Millennials can’t wait for driverless vehicles, most of us can’t fathom trusting a machine propelling us down a snow laden highway at 60 MPH. Too bad because it will be safer for everyone on the road. We really do need to make America great again – I didn’t vote for DT and my interpretation of his tagline is different. We have surrendered innovation to the rest of the world. Making America great again isn’t about mining more coal, deporting deplorables, or shutting our borders. It is about refiring our entrepreneurial spirit, rewarding risk taking and innovation, and connecting more with the world, not less. It is about embracing AI and other 21st century concepts and syncing our education system to inspire and teach the next generation. Based on what I saw last week, the Pacific Rim will be the engine of innovation and wealth creation, not us. Leaning into discomfort is good – In this age of tribalism where our ideas, beliefs, and actions are narrow and limited, breaking out is good for the soul. Just as important, it is necessary if we wish to advance as a society. I would never have thought about going to CES as I am not a techie and, truthfully, not much interested in how things work. I just want them to work. As a coach, much of my work is providing clients with access to new ways of thinking and seeing themselves and the world around them from different perspectives. My foray into CES was an experiment for opening new possibilities and learning. I became curious and exposed myself to new technologies that accelerated my learning. And having said this…. I will not be returning to CES next year. The show was a nightmare of overcrowding and long lines everywhere for everything. I like the people I met in Las Vegas but don’t like the place. But that is not why I won’t be returning to CES. I will be seeking another immersion into the unfamiliar and uncomfortable to continue to grow and learn. Thanks for hanging in and out with me. I hope you enjoyed the journey with me.